Every word we sang I knew was true. 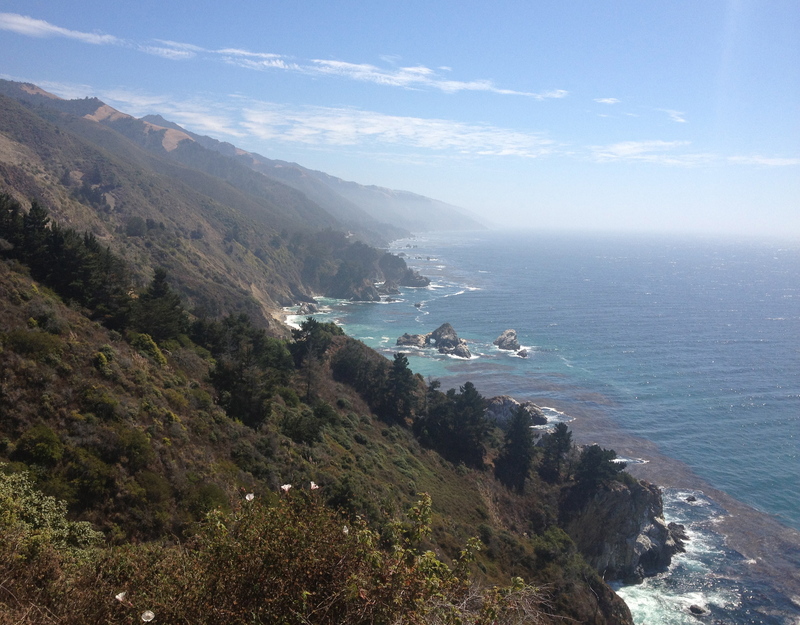 If you’re looking for some kind of a spiritual experience, driving on Route 1 through Big Sur on the way to San Francisco is a good place to start. It also helps if you’re with an old friend who you adore and are listening to just the right music. For those of you who’ve made this awesome run before, you know exactly what I’m talking about and for those who haven’t, there are no words to do it justice. I don’t believe in God, but this place is certainly one of the best arguments that He exists. Every twisting turn reveals another breathtaking view of mountains plunging into the ocean. It’s one of those fucked-up-nature-things that makes you feel small and insignificant and at the same time, more alive than you’ve ever felt in your life. I was riding shotgun and playing DJ all afternoon and promised my friend Pamela that I wouldn’t torture her by playing Steely Dan (which, you should know, is my all-time favorite band). I lied (and that phrase would’ve been so perfect if my name was Katy). Now I’ve always associated those words with the women in my life – for a long time, my ex-wife, as well as with any number of fantasy girls, but when I heard it this time and looked out the window at the ocean below and the cliffs above, it meant something entirely different. I felt a deep connection — maybe for the first time — to myself, and was overcome with a sense of hopefulness that I’ve only ever experienced on the days my sons were born. And if that’s not spiritual, I don’t know what is. « What I Wrote On a Flight to L.A.